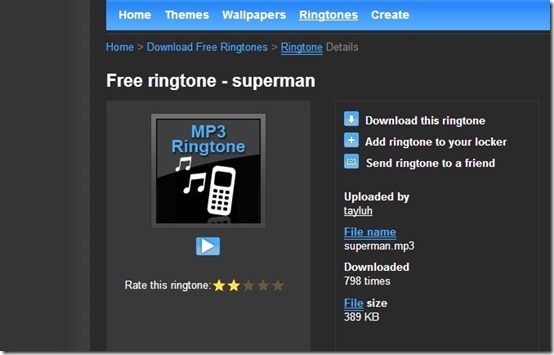 Here is a list of 5 free websites to download ringtones. These websites allow you to download ringtones directly on your Mobile or on your PC. These websites provide you with ringtones in different categories and for different mobile devices as well. You can simply browse through the ones you want and download them on your system in MP3 file format. Some of these websites also have the feature of allowing you to make your own ringtones. You can copy a link or upload a audio and edit. Let us go through all of them one by one, before you begin using them. The 5 websites to download ringtones that I reviewed in this article are CellMind, mob.org, Oringz, My Tiny Phone, and Rare Earthtones. The first website to download ringtones is CellMind. This is a very simple to use website where you can begin by creating an account. You can download ringtones without creating an account, but there are some other features for which you need to create a free account. The website has different tabs like wallpapers, themes, ringtones. All these tabs are pretty much self-explanatory. 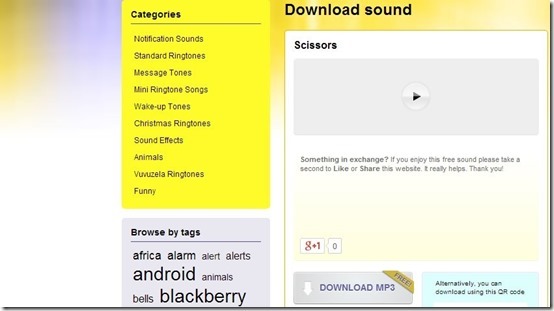 You will find lots and lots of ringtones to download in the ringtones tab. There are different categories and funny, dance, film etc. and you can choose your favourite one. The ringtones can be downloaded on your PC and can also be shared among your friends online (one feature that requires an account). mob.org is another website that allows you to download ringtones easily onto your PC. You do not have to create any account to use this website. There are several ringtones divided into different categories and you can take your pick. You can choose to listen to the ringtone before downloading it. mob.org also lets you create your own ringtone. You have to upload a MP3 file from your system and then edit it. Once its done, you can hit the “Create” button and save the ringtone on your PC. Next website in line to download ringtones is Oringz. This again is a very simple website that you can use to download interesting ringtones on your PC. There are categories like Standard ringtones, Message ringtones, Mini Ringtone songs, and more, that contain lots of ringtones for you to download. The ringtones can be downloaded only in MP3 file format. 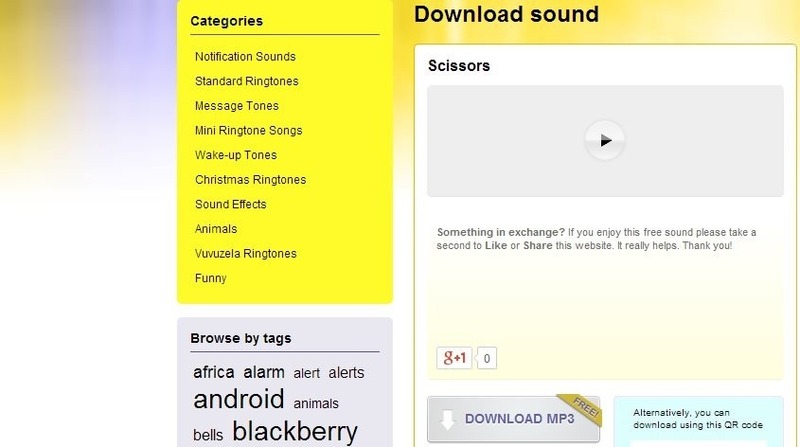 The website also allows you to browse ringtones by tags like Blackberry, notifications, Christmas, Football. I just wish it had the option to create ringtones as well. My Tiny Phone is the fourth website that you can use to download ringtones. This websites provides you with a lot of features that can be used for free. Apart from the ringtones, there are wallpapers, games, themes etc. that you can download. The ringtones are divided into categories and there are different versions available for one particular ringtone. You can choose to either send these ringtones directly to your mobile (by providing your phone number) or save them on your system. You can also save the available ringtones for your iPhones, separately. 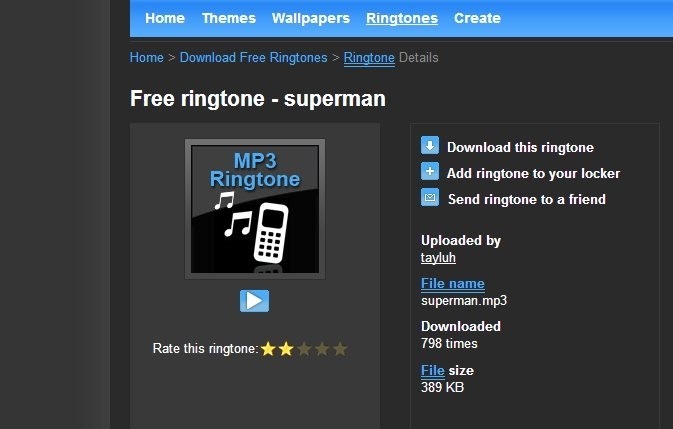 One more feature of this website is that you can create a new ringtone by uploading a MP3 file. Try My Tiny Phone here. 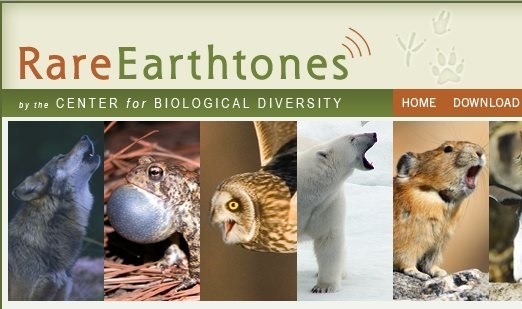 The fifth and final website in this list to download ringtones is Rare Earthtones. The name of the website suggests a lot about it. It is a quite different from the websites mentioned above and the reason I was tempted to put this in the list is because its unique. The website provides you Mp3 sounds of nature, wild animals, lakes and more. These sounds are very rare to find and a lot of us would surely enjoy such ringtones. 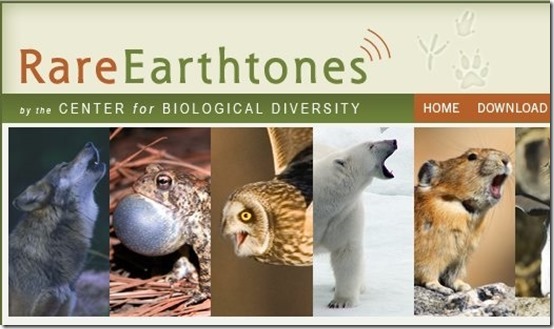 There are lots of ringtones segregated in categories like mammals, owls. Along with every ringtone, there is also one wallpaper that you can download. You can even preview a ringtone before downloading it. So, try out these 5 websites and get interesting ringtones on your mobile phone. In addition to this, you can also read our post on 4 Free Websites To Download iPhone Ringtones.